Pressure mounts for the New Jersey governor. Governor Chris Christie may survive the avalanche of scandal that threatens to bury him, but at the very least his troubles have opened the field for anyone and (almost) everyone in the Republican party to start thinking about 2016, including Joe Scarborough, the host of MSNBC’s Morning Joe, Mitt Romney (again) and other long-shot candidates. Newt Gingrich, who might be considering another run in 2016, is gleefully telling everyone that no one’s got an edge. “I don’t think there is a front-runner,” he says. And for Christie, who used to be the front-runner, it’s looking worse and worse. Last week, Christie Watch reported how the noose is tightening, as investigations by both the feds from the US Attorney’s Office in New Jersey and the joint New Jersey legislative committee have expanded to include not only the lane-closing scandal at the George Washington Bridge but allegations of political blackmail against other New Jersey mayors and a tangled web of conflict-of-interest involving a close Christie ally, David Samson, chairman of the Port Authority of New York and New Jersey and co-founder of a powerful law firm, Wolff & Samson. Now things are tightening even further, with the news that the feds have issued subpoenas about allegations of Samson’s self-dealing at the PA at the same time that newly released e-mails show that Christie’s close aide and campaign manager, Bill Stepien, was apparently more deeply involved in Bridgegate than was previously known. Take the Stepien story first. Stepien, fired by Christie in January, has just taken a job with a top Republican political consulting firm, but at home he’s facing new inquiries. One of the many unanswered questions about the Bridgegate story that has plagued the Christie administration is why the governor was so quick to fire Stepien, who was his campaign director in both 2009 and 2013. 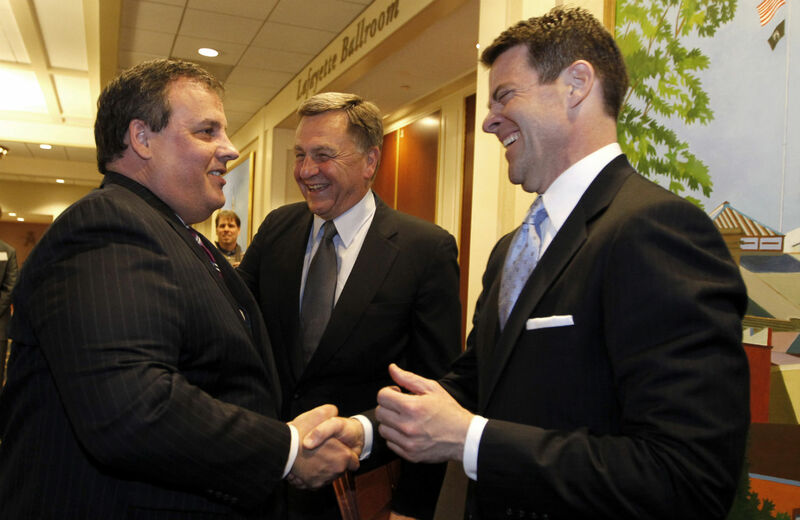 Christie appointed Stepien on January 7 to head the New Jersey Republican Party and, in addition, he’d been anointed by Christie as his top adviser at the Republican Governor’s Association. But on January 9, the day after e-mails were released linking Christie’s deputy chief of staff Bridget Anne Kelly to the traffic jam on the George Washington Bridge, Stepien was booted out. But exactly why Christie ousted Stepien wasn’t clear. In the first round of e-mails that were released by the committee’s inquiry, there were only a few references to Stepien, including one in which he called the Fort Lee mayor “an idiot.” Christie, who has called veterans and students “idiots” to their faces at his own town meetings when he didn’t like their comments, told reporters at his January 9 news conference that such comments made him lose confidence in Stepien. Now, Christie Watch has reviewed a new batch of e-mails released by the committee investigating Bridgegate that shed more light on Stepien’s close involvement with the traffic jam scandal—and which may explain why Christie wanted him out of the spotlight. During the lane closings, while traffic was backed up on the bridge, Fort Lee Mayor Sokolich e-mailed Port Authority deputy executive director Bill Baroni, Christie’s top insider at the agency. Sokolich said he was writing without telling anyone else in the hope that the lane closings could be reversed “quietly, uneventfully and without political fanfare.” Because he had not been notified in advance of the closures, and because he had not gotten a response about why they were happening, Sokolich said he concluded that “there are punitive overtones associated with this initiative. What other conclusion could we possibly reach?” Significantly, Sokolich’s letter was immediately forwarded by Baroni to Stepien. But why would the Port Authority’s number-two man forward a letter about lane closings that supposedly were the result of a traffic study to the governor’s campaign manager and top political adviser? At the least this means that Stepien knew there was a traffic crisis in Fort Lee while it was happening and that the mayor considered it political retaliation. The new e-mails show that Stepien alerted Baroni on October 1 to the fact that The Wall Street Journal was writing a follow-up to its original exposé about the lane closures. Baroni told him he had already discussed how he should respond with Governor Christie’s spokesman, Michael Drewniak. “We’re not responding,” he told Stepien. When the Wall Street Journal article came out the next day, revealing that Port Authority Executive Director Pat Foye had fired off an angry e-mail calling the lane closures “abusive” and saying he was going to get to the bottom of how the Port Authority process had been subverted to allow the traffic crisis to occur, David Wildstein, the other top Christie operative at the PA, sent a copy to Stepien to make sure he had seen it. The new e-mails reveal that Wildstein told Stepien, “We need to address leaks form Foye and his messing with us 5 weeks before election. I feel terrible that I’m causing you so much stress this close to November.” Stepien assured Wildstein that he liked him much better in 2013, despite the story, than he did when he was writing stories about Christie as the editor of a New Jersey political newsletter. Wisniewski, in an interview with the Reverend Al Sharpton on MSNBC’s PoliticsNation, called the words “counter narrative” troubling. And he said that the fact that the Port Authority executives had to run their press strategy by the governor’s campaign chief indicates “there was a significant political component” to what was going on. Had it been only a traffic study, it that should not have concerned the campaign at all, Wisniewski said. FLS Connect, a Minnesota-based firm with deep ties to the GOP establishment, was paid $68 million in 2012 by Mitt Romney’s presidential campaign, a host of congressional candidates, big-money groups and party committees, including the Republican National Committee and the New Jersey Republican State Committee, according to reports filed with the Federal Election Commission. In 2013, FLS worked on Christie’s reelection campaign, which paid it at least $61,000, according to state campaign filings. At FLS Connect we specialize in creating cost-effective, customized voter contact programs. From start to finish, it’s our goal to partner with you by providing: data evaluation- including microtargeting data, voter files, donor files and rented lists; customizing scripts and providing daily results analysis and return files as needed. It remains to be seen how long Stepien will be able to hold down the FLS Connect job, especially if he’s indicted or otherwise targeted in the Bridgegate story and other Christie scandals. Federal prosecutors in New Jersey issued a subpoena last week to the Port Authority of New York and New Jersey seeking records relating to its chairman, David Samson, and contracts on two bridge projects worth $2.8 billion that he voted to award to construction companies with some ties to his law firm, according to people briefed on the matter. Samson’s law firm, which does vast business with the state of New Jersey, with developers in deals with the Port Authority, and as a lobbyist in Trenton, is under fire because it appears that Samson used his political connections to Christie to advance his firm, Wolff & Samson, and used his position at the PA in support of Wolff & Samson–connected development projects that made use of PA funds.